March 12, 2018 by Jonathan R.
VIDEO: Ever seen people playing polo on elephants? Watch this action-packed clip. Have you ever heard of a polo game with participants seated on top of elephants? Elephant polo actually exists in Thailand. In fact, it has been going on for more than a decade. Watch the video here. What comes to your mind when you hear polo? Yes, it’s the popular sport associated with royalty and leisure, in which royals rode on a horse to play the game. But have you ever heard of a polo game with participants seated on top of elephants? 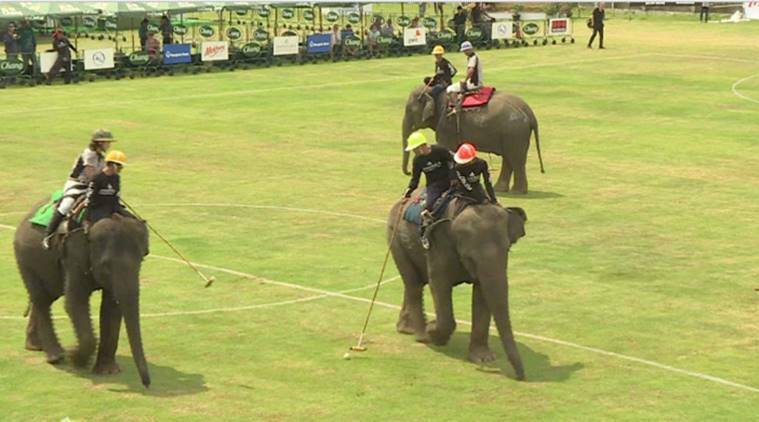 Elephant polo is not part of fiction, but it actually exists in Thailand. In fact, it has been going on for more than a decade. Can you imagine the plight of the players who have to stoop low to take a shot? Yes, it’s quite tough for the players to touch the ball from an elephant’s back (as if the height of a horse was not enough)! Well, it’s all done for charity to raise money for wild and domesticated elephants. In the 16th edition of the four-day King’s Cup Elephant Polo Tournament, about 30 animals participated and the visuals are simply adorable.